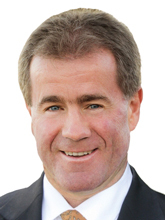 As a Director / Licensee of Key Residential Geoff Hughan has over 30 years experience in the real estate market. Standards and culture within Key Residential are set to the highest level under the direction of Geoff. The sales & property management areas of our business are overseen by Geoff to ensure compliance to the highest level along with high ratings and satisfaction levels from all who interact with our business. Should you be considering Selling, Renting, Developing, Investing or just need some general business or Real Estate advice, feel free to contact Geoff for expert and impartial advice. On a personal note, Geoff is contentedly married with one teenage son and gives back to his community through volunteering at REIWA on the advice hotline, as a Past President and Life Member of the Swan Canoe Club, and for the last 10 years has participated in the Albany to Perth Youth Focus bike ride – raising funds for and supporting prevention of Youth Suicide and Depression in 12 -18 year olds.